See The Remarkable Effect Laminine Has Had on LPGN’s CEO Wicky Suyanto’s Family Dog, Snowy! Listen to Dr. Andujar Speak About Laminine and How it Can Help Your Pet! Visit Our Questions & Answers Page Toward the Bottom For Pet Questions & Answers. “I have been taking the Laminine and also giving it to one of my Labradors who has bilateral laryngeal fold collapse, which essentially means that the larynx blocks her airway and she has difficulty breathing , especially on exertion. The treatment option at this stage was surgery only to tie back one of the folds – a very invasive, and non guaranteed surgery with pretty high risks involved. Early signs are good and the best is that I haven’t told my husband that she is on this product, (to make it like a blind trial) but he has remarked how much better she is and how much easier she is breathing on exercise so this is looking very promising. Zoé is a thirteen and a half year old Bichon Frisé. She had been exhibiting signs of ageing in the past few years—–joint stiffness, less energy, some signs of “doggie dementia” meaning she was less alert and didn’t seem to understand commands any more. We also had the impression at times that she was depressed. He’s like a new cat again, jumping and playing with her other cat like he used to do. 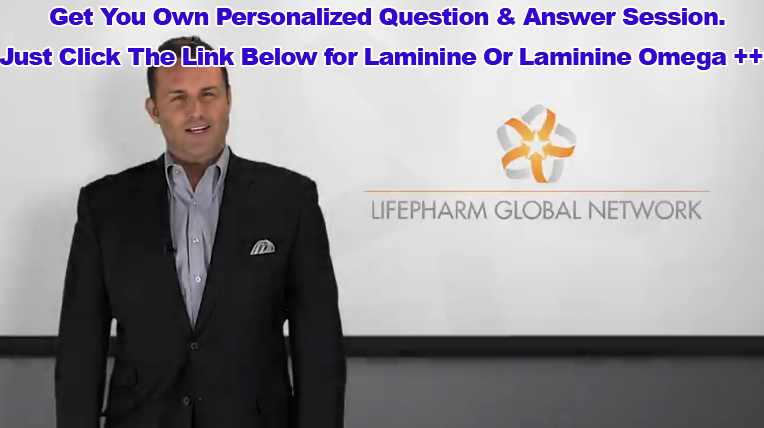 Myrna loves using Laminine herself, too, of course! I also have a pony that has suffered from Laminitis every winter for the last 7 years. It is a serious disease. Laminitis can be fatal. The pony has had to be locked up because the winter grass causes the condition. This winter I gave him Laminine! It has been truly a miracle. He has been outside all winter and has had no symptoms of the disease. Open a capsule, mix with food or on your hand and allow them to lap it up. The ingredients will help decrease joint discomfort in animals as it may stimulate stem cells in the joints, helping to repair articular cartilage of the joints.